Bottom Line: A rock solid pepper beer with nice balance and pleasing peppery, tingling, warmth. Herb/spice beers are ales or lagers to which herbs and/or spices have been added to impart flavor. The degree of overall flavor and aroma will vary in these beers in relation to not just the herb or spice added, but also in relation to when and where the herb or spice was added during the brewing process. 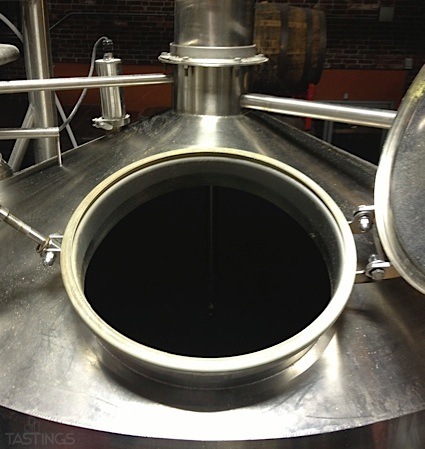 These beers are highly individualistic, and allow brewers great creativity in their formulations. While the more common herbs and spices used by brewers include ginger, cinnamon and nutmeg, many examples of herb/spice beers are readily available utilizing herbs and spices including ginseng and heather to name a couple. Given the variation possible in this category, there are no established standards for appearance, aroma or flavor. Instead, beers in this category are defined by a pleasing combination of the beer’s elements, overall drinkability and balance of herbs/spices and base beer flavors and aromas. Noteworthy examples of this style include: Rogue Chipotle Ale, Crabbie’s Original Alcoholic Ginger Beer and Williams Brothers Fraoch Heather Ale. 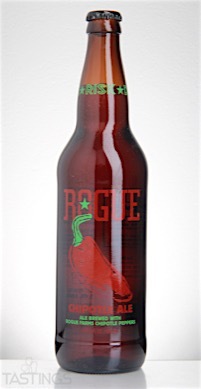 Rogue Ales Chipotle Ale rating was calculated by tastings.com to be 90 points out of 100 on 4/15/2016. Please note that MSRP may have changed since the date of our review.